The league action this Sunday from the top of the ERWFL Premier Division. 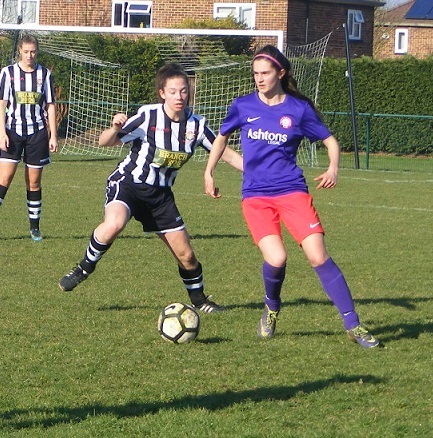 A clash between the top two with 2nd placed Royston Town Ladies at home to newly crowned Champions, Cambridge City Ladies. 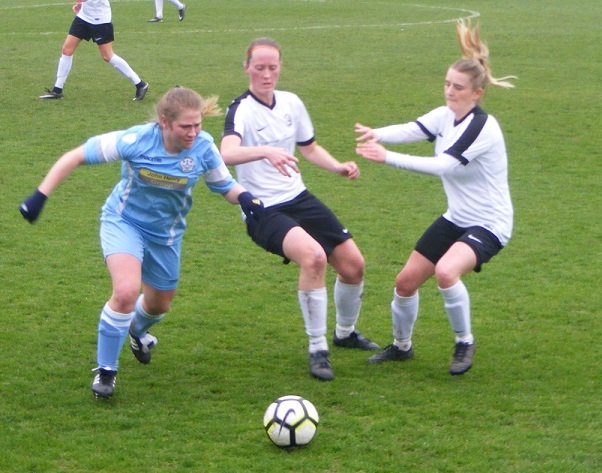 A bit like After the Lord Mayor’s Show turning up to watch Cambridge City Ladies this Sunday after they clinched the league title at home to Peterborough Northern Star Ladies last weekend with a comfortable 4-0 win. A massive achievement winning the Premier Division title, in just their 3rd season playing regional league football a 3rd league title in 4 seasons, and runners-up in the year they didn’t. 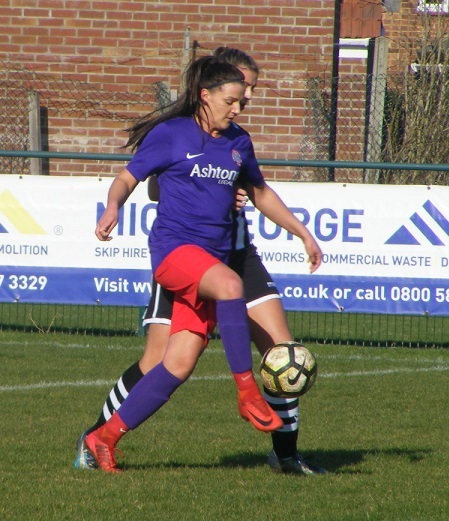 A rapid rise through the women’s football pyramid, FAWNL football beckons next season and with it a few local derby matches. 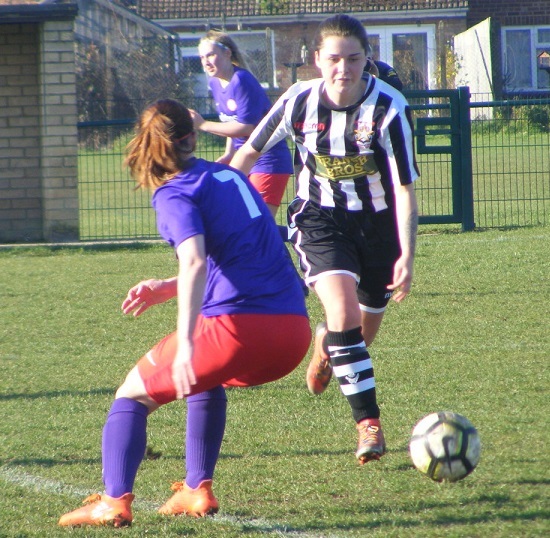 Royston Town Ladies, today’s hosts enjoying a great season in the Premier Division themselves, the Hertfordshire side in a strong position to clinch runners-up spot in the league currently 4 points clear of 3rd placed Acle United Women with both having 3 games to play. 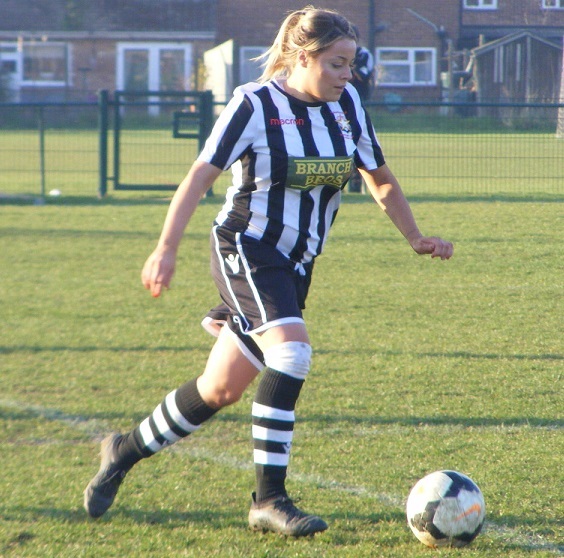 Amongst the top sides in the league pressurising Cambridge City Ladies at the top. A good start to the season unbeaten in 7 winning 6. The only side to take league points off Cambridge City so far this season drawing away from home 4-4. 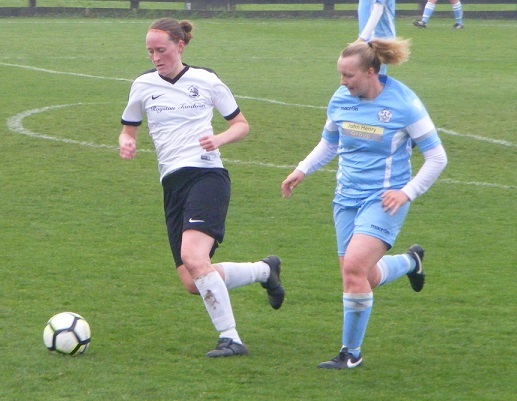 Cambridge City Ladies joining the ERWFL 3 season’s ago, Division One Champions in their debut season along with a League Cup final appearance. Runners-up in their first season in the Premier Division. Have won the title with 3 games to spare so far unbeaten dropping just 2 points all season from 19 played. Are into the last four of the League Cup once more a double very much possible. 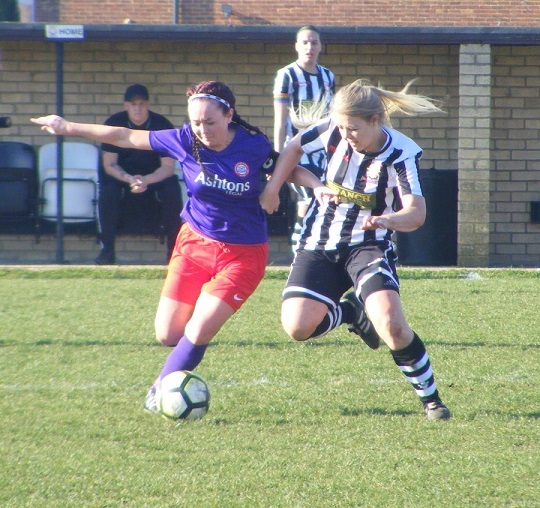 An unbeaten league season the icing on the cake as they move up to the FAWNL next season. 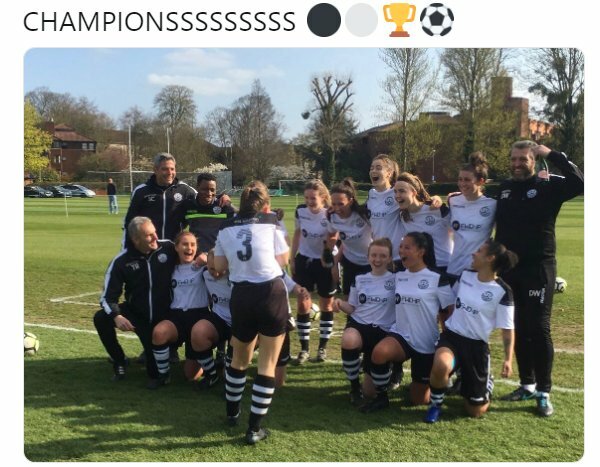 Their Development side on course to win the Cambridgeshire Women’s Premiership aswell as two cup final appearances themselves. A strong youth set-up too within the club where it has made it’s name previous, just last Friday their U14s winning their League Cup final. The venue for this afternoons match Royston Town FC’s Garden Walk Stadium. The entrance can be easy to miss, but that led me to discover the Civic Car park close by last time so this is where I pitched up this time a short walk to the ground. Nestled behind houses is nevertheless a good sized stadium offering a large pitch looking in great condition offering plenty of width. A clubhouse with bar and hot drinks available. Some covered seating, needed too with the weather forecast predicting rain in the area, wet when I arrived would persist for much of the afternoon, overcast conditions. 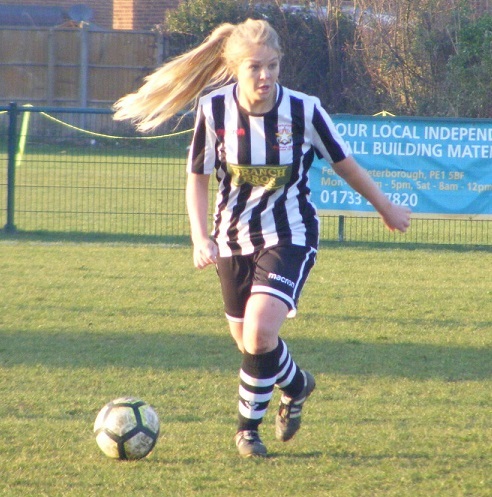 Royston Town Ladies starting XI – Yasmine Walford, Katie Seymour, Angharad Chambers, Amy Cooper (C), Beki Fisk, Samantha Edgar, Danielle Carty, Hayley Eldred, Sammy Tinsley, Charlotte South & Jo Rutherford. 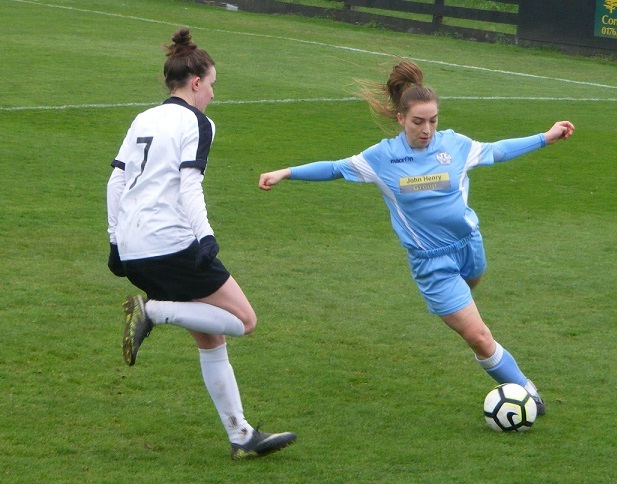 Subs – Eva Ramsey, Georgia Gannaway, Paris Coldicott-Stevens & Ellie Pickard. 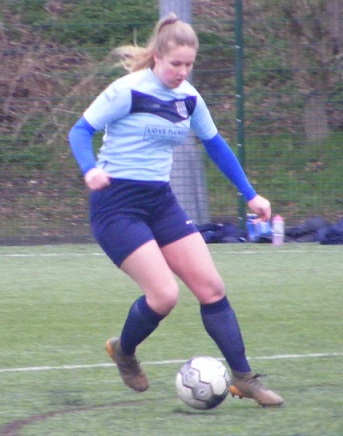 Cambridge City Ladies starting XI – Tee Mhunduru, Ceri Flye, Lauren Tomlinson, Anna Goggin, Becca Fay (C), Hannah Bodily, Sarah Mosley, Erin Davies, Carla Penny, Shannon Shaw & Bella Simmons. 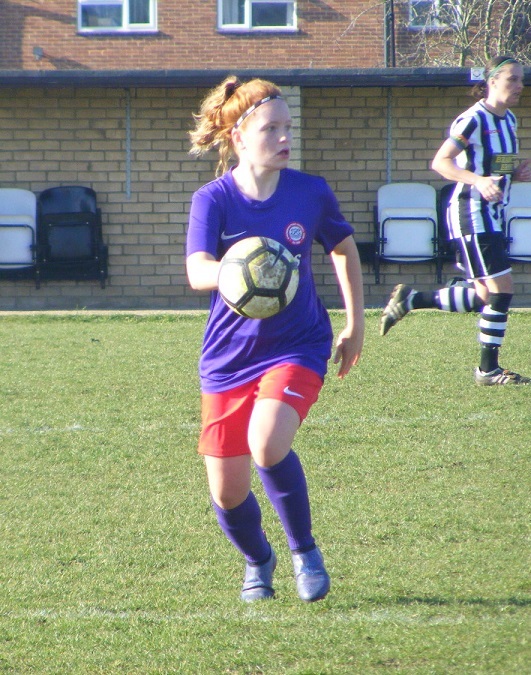 Subs – Amy Reed, Freya Standing & Bronte Rapley. Both sides home colours black and white, Royston wearing those colours today, white shirts and socks with black shorts. 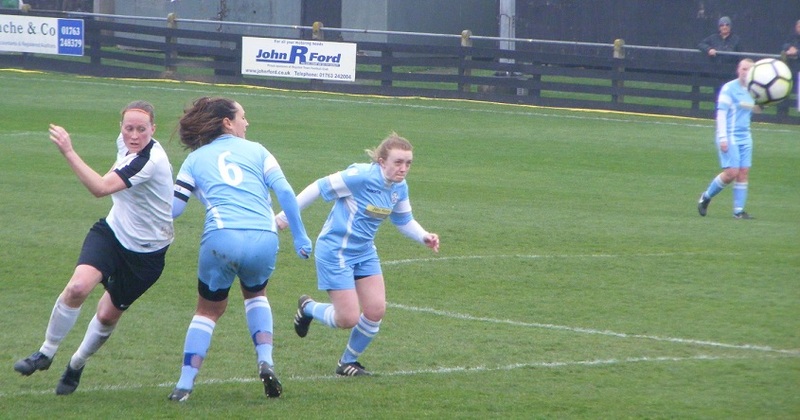 Cambridge wearing thier sky blue away kit. 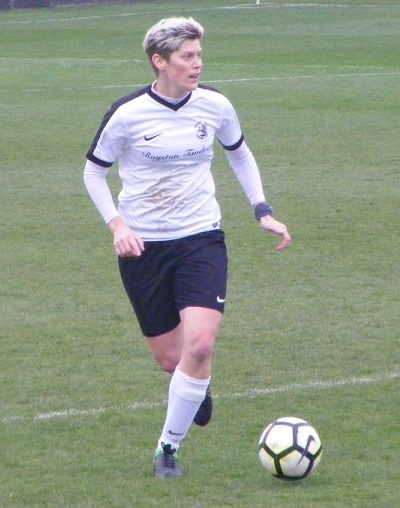 The rain falling heavily at kick-off, Cambridge to get the 1st half underway, go left Royston quick to close the ball down, Hayley Eldred backed up by Katie Seymour at full back win the ball played up to the strikers, Jo Rutherford looking to win the head beaten to the ball by Cambridge centre back Anna Goggin. Royston press on the right Eldred forwards looking to put the ball on for Rutherford in attack the Cambridge defence intercepts. A positive start from Royston putting the ball forwards looking to attack win a corner out on the right a high ball into the area cleared, Cambridge break through the middle the ball pushed on sees striker Shannon Shaw clear running in behind 20 yards out takes on the shot early, Royston goalkeeper Yasmine Walford back-peddling slightly unprepared reacts well adjusting to dive to her left and get her gloves to the ball push it wide and behind for a corner to Cambridge. GOAL! The ball played in towards the near post Walford coming to punch gets something on the ball but only succeeds in knocking it up high into the air and spinning further into the six yard box in front of goal, Cambridge attack it Shaw with the telling header to drive the ball into the back of the net to give the visitors an early lead, just 3 minutes on the clock 0-1. Cambridge’s turn to press the ball on their right, Erin Davies to Carla Penny moving into the right corner holds the ball up as full back Ceri Flye gets forwards in support the ball put back up the line Flye sends a cross into the area, the flag up as striker Bella Simmons strays offside. Simmons with a great run moving right gets in behind drives on coming in field getting into the area lets fly with a shot racing in near post Walford with a reactive save gloves out to send the ball wide and behind at her near post. Royston dealing with the resulting corner. 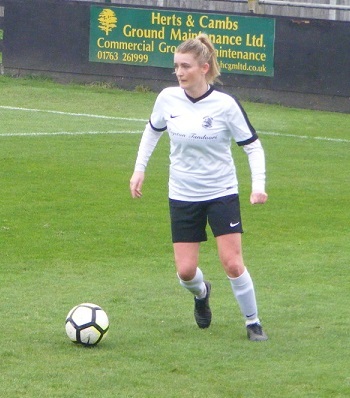 Seymour recovering well at the back for Royston as Simmons touch sees her get inside her, the full back diving in to make a good tackle win the ball 30 yards from goal. 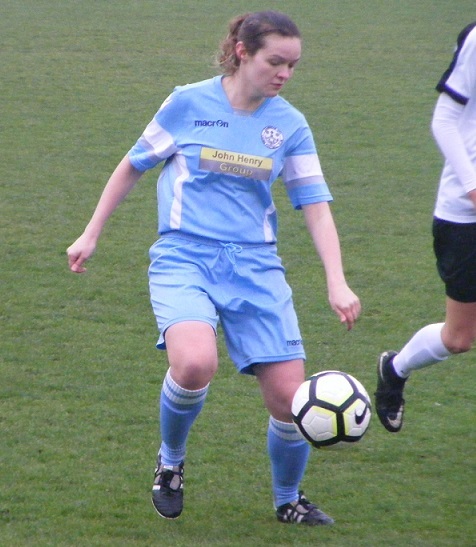 Royston with a free-kick on halfway captain Amy Cooper to play the ball up towards the top of the area, Charlotte South up well to nod the ball down, sky blue shirts reacting quickest to clear the loose ball. 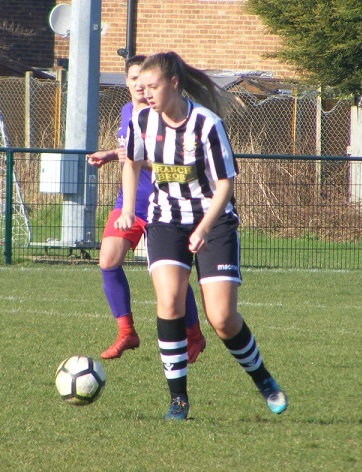 Sammy Tinsley lively on the left for Royston is fouled, Angharad Chambers putting the ball up the line, South after it flagged offside. 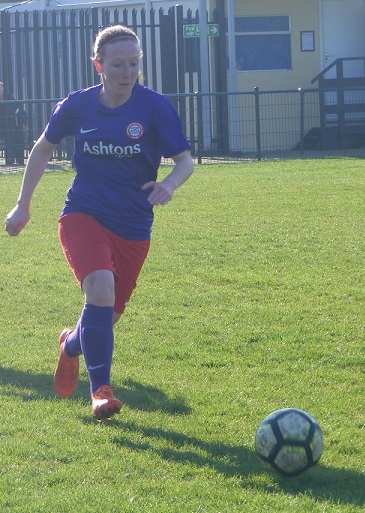 Flye with a strong run after the ball carries on down the right closing in on the byline squares a cross into the Royston six yard box is behind Simmons, Cooper latching onto the ball clearing it with Shaw behind her. Is a little scrappy, a few robust challenges coming in from both sides, some decisions angering the Royston bench. 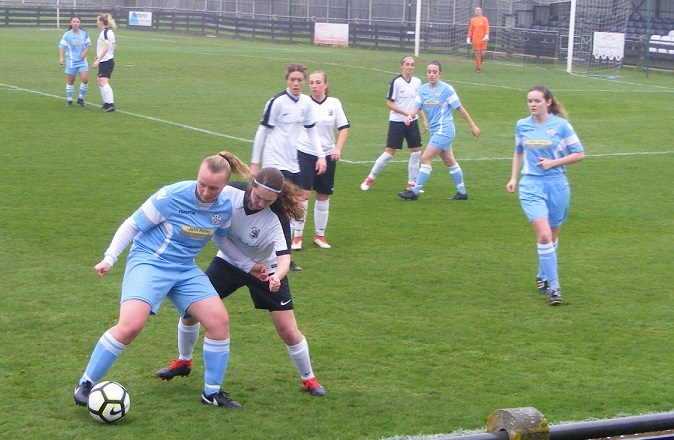 Cambridge have the ball on the left get forwards the cross whipped in early Shaw getting in front of her marker near side turns the ball goalwards, Walford can see it safely wide across her goal. A competitive tussle in the middle of the park, Royston looking to find the final ball Cambridge quick to close down just getting hold of the ball first, South and Rutherford looking to combine, Goggin and captain Becca Fay both intercepting to break up the attack. 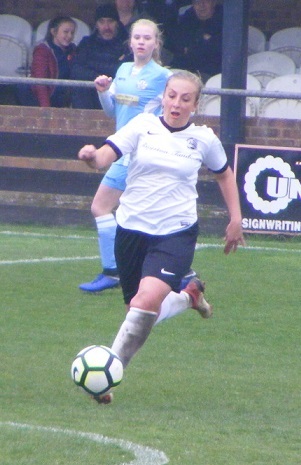 Royston build well on the left Chambers on for Tinsley she plays it in field to Rutherford a clever back heel to tee up South 25 yards out she connects well with the shot, looping in doesn’t have the height to beat goalkeeper Tee Mhunduru as she takes it high. Penny with the ball right wing for Cambridge puts a cross in towards the top of the area central for Davies she lays it to Simmons on her right getting her foot up over the ball she shoots, Walford throwing her arms up makes the blocking save drifting across her goal. Cambridge press the attack numbers forwards through the middle Shaw with it is brought down right on the edge of the box a free-kick right of the D. Penny on it goes for goal her strike over the bar. 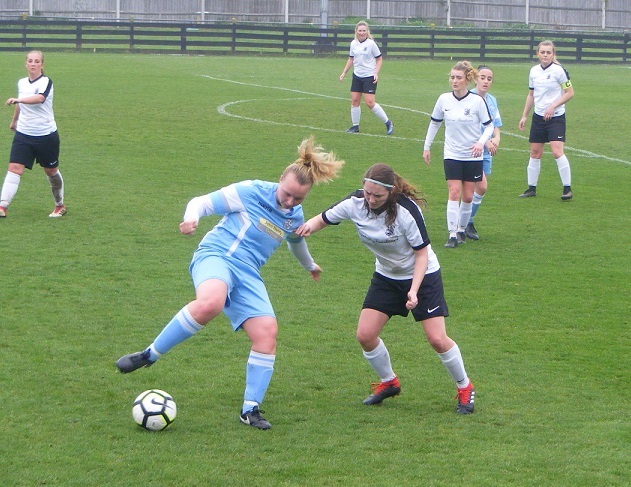 Danielle Carty winning the ball in the middle for Royston played out to Tinsley left her forwards pass into the run of South the ball getting tangled under her feet she can’t dig it out for a shot before Flye and Goggin close her down. 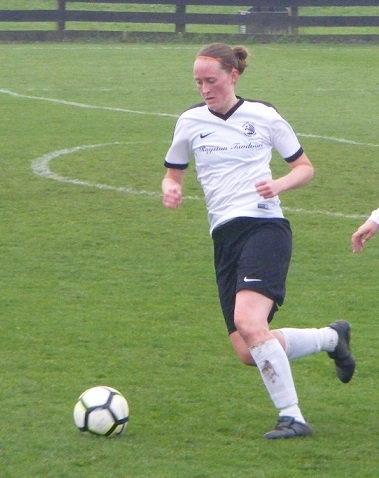 Samantha Edgar through the middle for Royston on for Elderd breaking right she swings a cross in towards the top of the area, Hannah Bodily back to slide in and win it back for Cambridge. Royston are hit on the counter Cambridge looking to play Simmons through racing after the ball, Walford comes racing out of her box a long way out but sliding in has to win the ball the clearance could go anywhere falls straight to Shaw she hits it early a long way out central hoping to find the empty net Walford racing back lets out a breath as it runs wide of the post. Royston are attempting all sorts to find a way through the Cambridge back line some good link up play the final ball just won’t come off. Tinsley working hard on the left a cross fired in deep towards the far post Mhunduru jumping to claim it does well under challenge to just about hold onto it. Simmons gets away on the left in behind shifts inside before taking on a 25 yard shot the attempt bouncing wide across the face of goal. 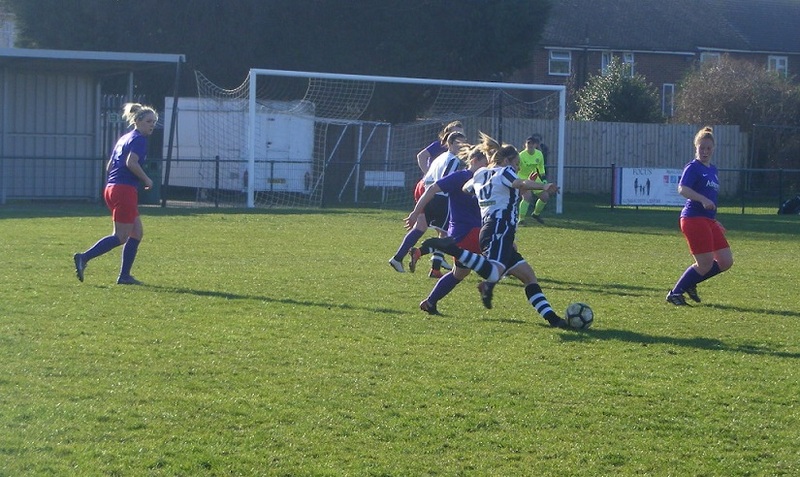 Royston build through the middle Edgar on for South played up to Rutherford in attack, left of the box, Tinsley making a good run to get inside her, Rutherford getting the ball into her run comes further infield looking to shot ends up being upended the free-kick awarded. Carty to take has a shot the ball straight into the arms of Mhunduru. 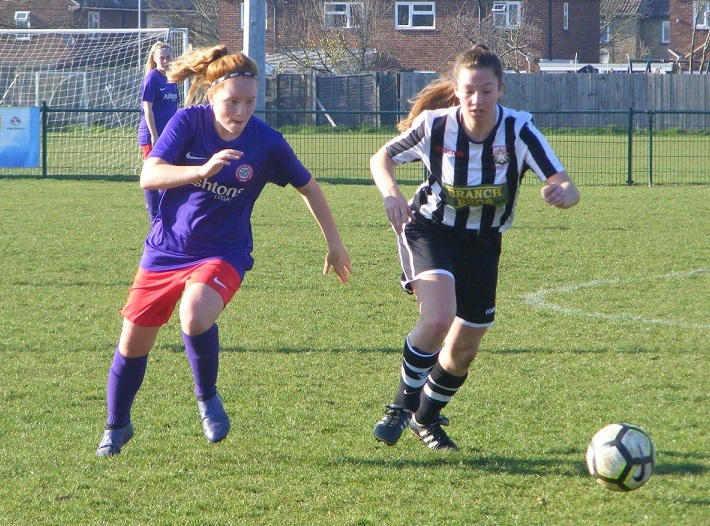 Sammy Tinsley battling with Cambridge’s Sarah Mosley for the ball. Penny is fouled attacking wide right for Cambridge the free-kick level with the top of the area, players forwards the ball into the area cleared, Cambridge are quick to regain possession keep the attack alive play drawn left the cross comes in central Penny is their top of the six yard box the ball trapped under her feet, Chambers does really well to make the tackle deny the chance the ball cleared only as far as Mosley 25 yards out she shot back on sails over the bar. Rutherford charges down a shot at the top of the box defending as Cambridge’s Penny wins her side a corner on the right.. The hosts look to break, Cambridge pressing the ball on halfway progress halted. Tinsley making ground on the left support from Rutherford brings a throw in the ball played in field to South, too far out for a shot looks for options, Cambridge as they have all through the 1st half not let anyone have time on the ball. An early lead for Cambridge, Shannon Shaw’s 3rd minute goal the difference between the sides going into the half-time interval. The visitors having further chances to extend the lead but none taken. Royston not getting the rub of the green in the final third have had some good build up play but on the whole Cambridge have been quick to close down and have been more rapid in the counter attack. The 1st half flying by, at 1-0 though still all to play for 2nd half. No changes for either side at half-time, Royston to get the 2nd period underway, the rain petering out towards the end of the 1st half. The hosts going right look to get Eldred on the ball wins a throw in. 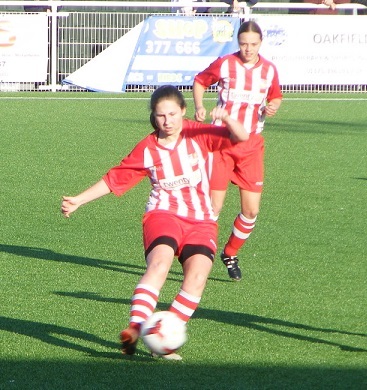 Eldred making progress up the wing a low cross driven in towards the near post hits Fay as she races back in defence. Remains scrappy, niggly challenges stopping play. Lively in the centre of the park, Carty and Edgar battling with Bodily, Mosley and Davies. 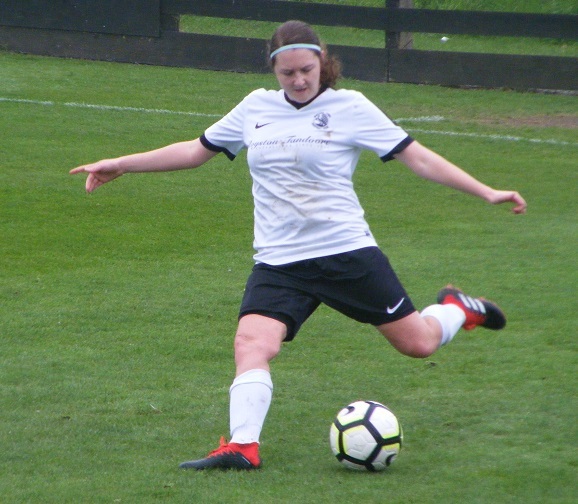 Appeals for a penalty from Royston a powerful run from Rutherford trying to get the better of Tomlinson as she attacks left the striker into the box shoulder to shoulder with Goggin goes to ground as Mhunduru slides in to claim the ball. The appeals waved away, more frustration from the Royston bench. 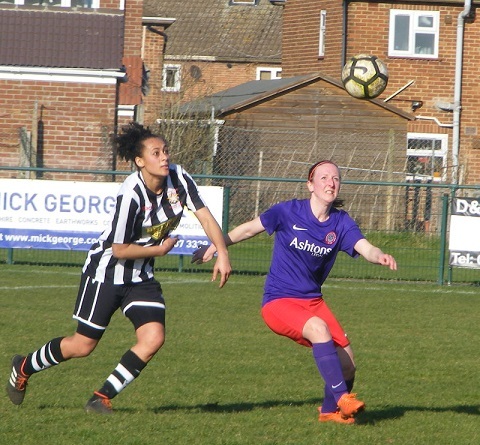 Royston showing more urgency at the start of the 2nd half, Rutherford supporting Eldred on the right a throw won, Carty receiving her cross charged down. Rutherford leading the line well for Royston looks to spin in behind the Cambridge defence on halfway, Mosley reacting well getting back to help out and regain possession. Decisions continue to frustrate Royston on and off the field. Walford with a good claim from a cross swung in from the right from Penny. 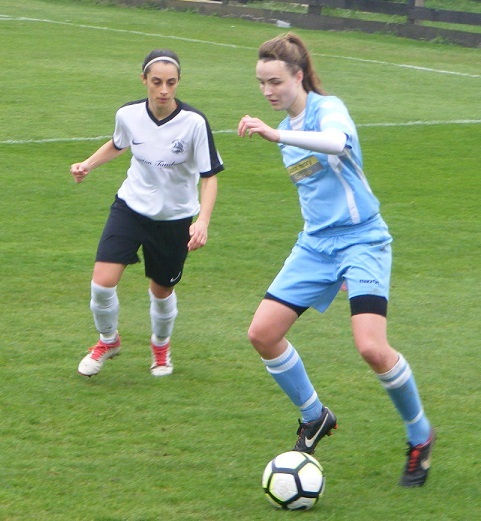 The winger substituted soon after on in her place 16-year-old Freya Standing. Cambridge doing well to keep Royston from breaking quickly pressing the ball high up the pitch from their own attacking positions. Standing with a burst of pace on the right wing a cross fired in near post Walford coming to punch doing well under challenge to get it away. The rain starting to fall again, Carty coming off worse in a 50/50 challenge in the middle the ball striking her. Edgar with a great pass down the right finding Elderd can’t keep it in to cross on the byline. GOAL! Past the hour and Cambridge double their lead and it’s Shaw on the scoresheet for her 2nd goal of the match the attack building left the ball helped on finding Shaw peeling away from her marker driving on towards the area strikes the ball from the top of the area low with plenty of pace, Walford diving can only get her fingertips to it pushing the ball onto the post and into the back of the net 0-2. 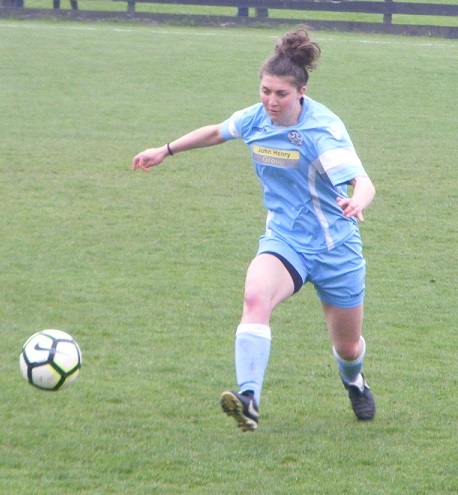 Royston respond with a double change, off come Carty and Seymour, on in their places, Eva Ramsey and Paris Coldicott-Stevens. Royston’s frustrations continue passes just won’t fall, good runs the ball won by Cambridge, Flye on the right denying Rutherford as Tinsley plays the ball on. GOAL! Cambridge go further ahead 5 minutes after going 2 up add a 3rd goal, have possession high n the left a throw in the ball put inside driven across the top of the Royston area, Standing on the that side gets her foot up over the ball to hit a well taken shot back across the keeper and into the bottom corner to score 0-3. A further blow for Royston another double switch is made Cooper and Edgar the players coming off. Georgia Gannaway and Ellie Pickard coming on. Davies pushing on for Cambridge a diagonal ball fired into the box, Fisk lunging intercepts conceding the corner. The ball in towards the near post defended. 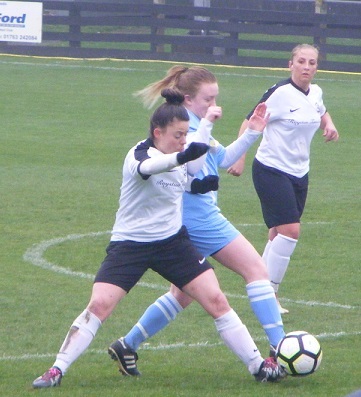 Chambers tackling Simmons on the right as she attacks a corner given away, played in higher towards the near post attacked a Cambridge head on the ball sent over. Ramsey with a timely interception as Cambridge attack on their left Davies finding space playing it on for Shaw. The action end to end Royston attacking have a free-kick the ball pinging around at the top of the area a collision between Flye and Tinsley both players down, play goes on though as Cambridge break Simmons racing up the right with the ball at her feet a shot driven in Walford down saves well then scrambling after the loose ball as Simmons goes for it a corner is conceded play stopped and brought back to deal with the still grounded players in the opposite box. Both up after treatment are okay to continue. Up the other end the corner on the right into the area comes out to Mosley 30 yards out hits it back in a good effort straight at Walford the keeper pushing the ball up over her crossbar. Cambridge make their 2nd change Shaw coming off in attack Penny returning. 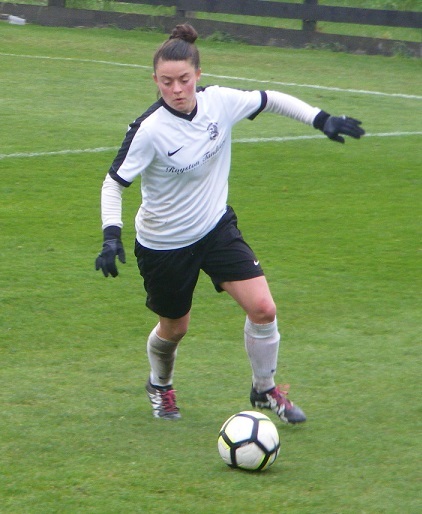 Flye charges forwards with the ball at her feet sends it on for Simmons ahead of her right of goal blasts her shot wide of the mark. 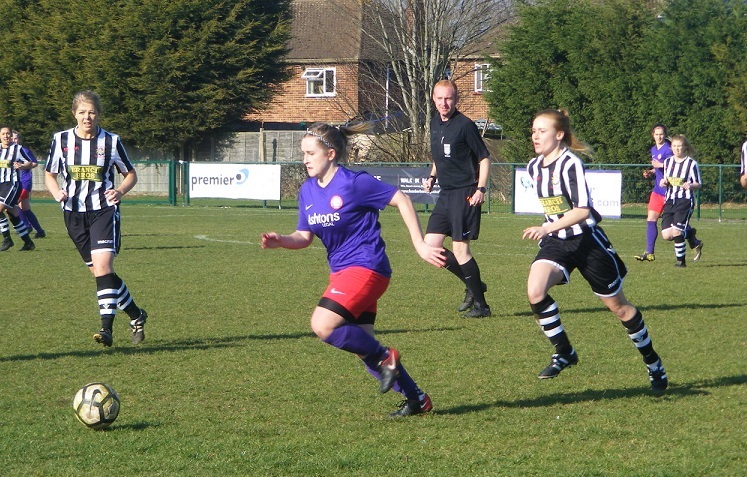 Ramsey getting time on the ball for Royston right plays Eldred in down the wing her looping cross into the Cambridge box won by Fay in the middle. Rutherford and Tinsley combine in attack for Royston driving on Rutherford putting the ball on for Tinsley shooting from 20 yards out Flye blocking. 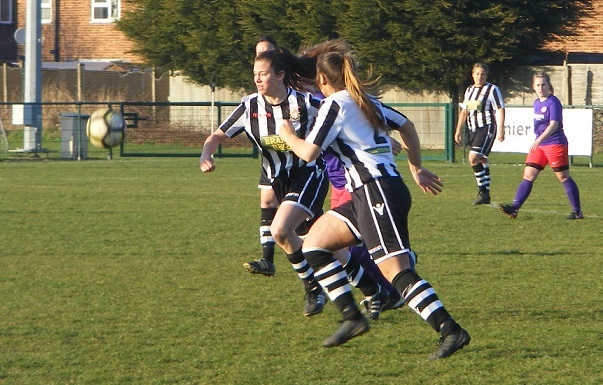 Tomlinson breaking on the left for Cambridge sees Simmons central feeds her the pass taking in it Fisk with her Walford coming the defender knocks the ball wide of Simmons both going after it Simmons turning back to send a cross into the area, Pickard is there to head clear for Royston. 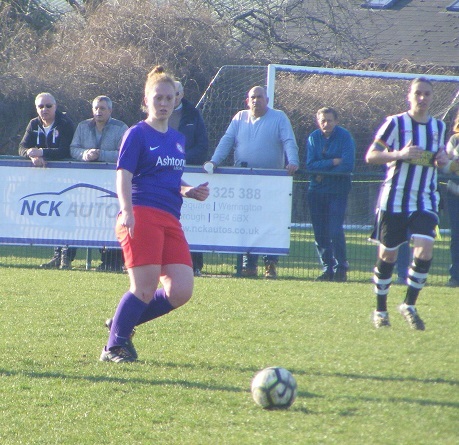 The hosts work the ball well through the middle Coldicott-Stevens on for Tinsley plays it forwards Rutherford into the box has Gannaway to her left sends her the cross the attacker struggling to get the ball out from under her feet to get a shot away Fay closing her down. South plays a dinked ball over the top of the Cambridge defence putting Rutherford through, goes to lob the keeper from outside the box, the right intention just not enough height to trouble Mhunduru. Into the closing minutes of the game a late change for Cambridge Bronte Rapley coming on for Mosley. Goggin tackles Rutherford inside her box late on as she receives the ball from a throw in. A loose goal kick from Walford intercepted by Simmons, Pickard does really well to get back on her make the tackle, Cambridge up attacking late on winning a corner defended but Cambridge prevent Royston from breaking as the final whistle blows and they make it 19 wins and a draw from 20 played. 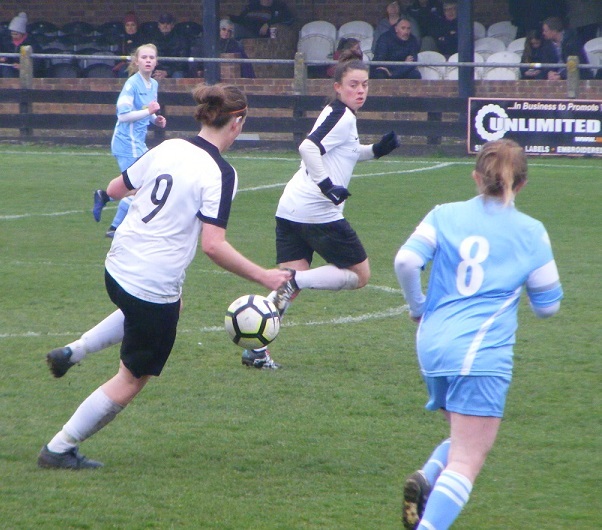 Easy to see on this performance why Cambridge City Ladies are the champions played well throughout the team for the whole 90 minutes working hard to close the ball down, create opportunities, prevent their opponents from breaking. Scrappy at times but nevertheless an enjoyable match. Royston frustrated, some decisions not going their way, some great build up play, easy to see why they are doing so well themselves, it just wasn’t going to happen in the final 3rd today. The gap closed but 2nd position is still in their hands with 3 to play. 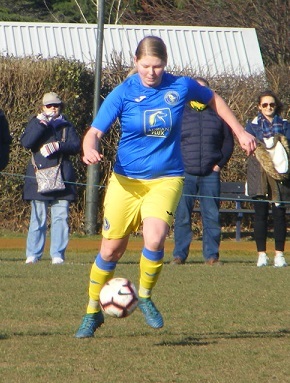 Onto this afternoon’s Women’s Football East – Player of the Match. 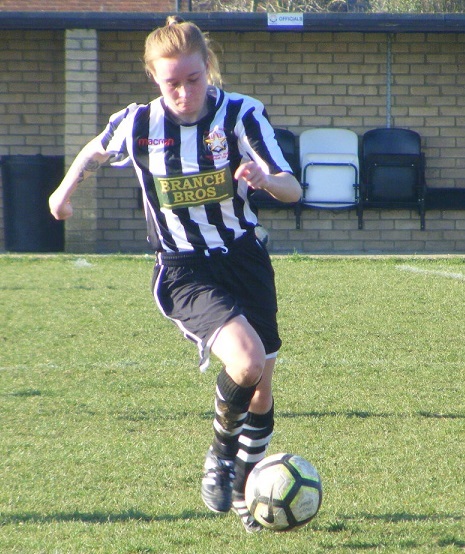 For Royston, Sammy Tinsley was outstanding on the left of attack battling away getting forwards and trying to get the ball into the attackers linked up well with Rutherford. It was a fantastic all round team performance from Cambridge who are determined to try and end the season unbeaten. Worked hard to close the ball down all over the park, preventing Royston from breaking, and closing the door through the middle. 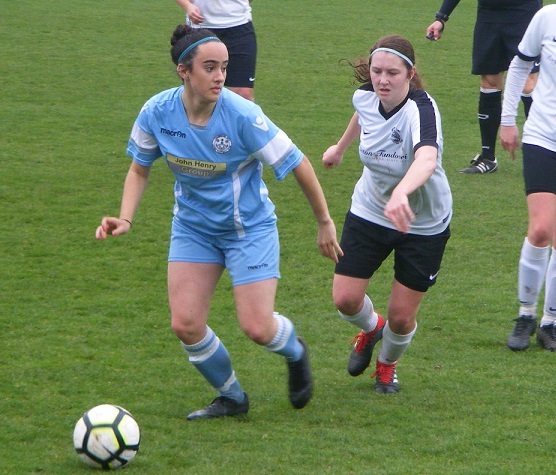 Have to pick one however this is very close Sarah Mosley was excellent in midfield just misses out to Erin Davies whose work rate too was superb getting forwards well to support the attack. That game flew by highly enjoyable the ball wasn’t still for long, another good advert for the ERWFL. Pleased t have finally gotten to Garden Walk this season even if it was no doubt the result Royston didn’t want me to see. 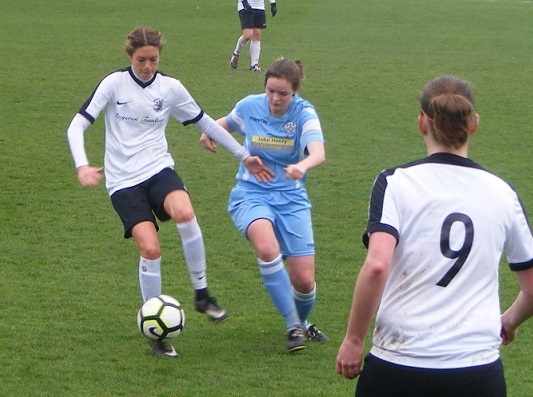 Won’t be long before I’m seeing Cambridge City Ladies again, in midweek, their Development side at least as they begin their quest for a possible treble in the final of the Junior Invitation Cup against Fulbourn Institute Bluebirds on Thursday. My thanks to both clubs for helping me out with the team details today. 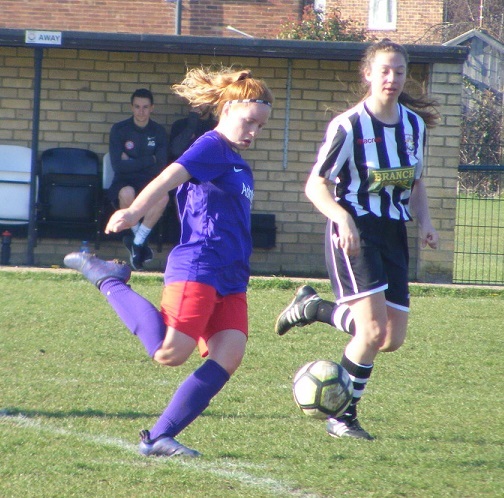 This entry was posted in ERWFL Premier Division, Match Reports and tagged Cambridge City Ladies, ERWFL Premier Division, Match Report, Royston Town Ladies on April 7, 2019 by WFEast.